The Food Lover’s Award-Winning Black Bean Chili. About 20 years ago today, in January 1993, I entered The Third International Chili Cook-Off at my customer’s site. I was working in the information security field and providing expertise to an organization full of people who loved their jobs. Their commitment and service to their employer’s overall global mission was enviable…and they also loved to cook and eat. A number of these people had lived (and eaten) all over the world and were outstanding cooks. Being young and not sure of my own cooking skills, I was pretty much terrified to go up against all of these cooks with far more experience than I had. On the morning of the Cook-Off, 30 contestants, including myself, brought in our Crockpots, and plugged them in. 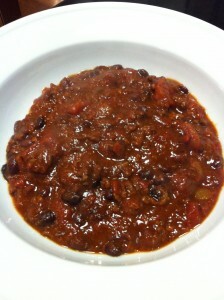 My Black Bean Chili simmered along with the best of them. What is determined to be “the best chili” is a very personal decision for most people, and we regularly had heated debates about it. Excitement was in the air when somewhere around 11AM that morning, the judges went around and taste-tested all of the chilis. At noon, we all gathered in a large conference room to hear the verdict. 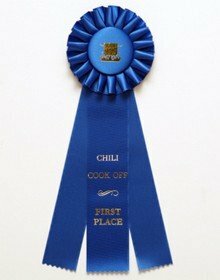 As I made my way to the front of the room, shaking all the way, the Lead Judge gave the reasons that my chili was selected: It tasted how the judges thought a chili should taste…and it LOOKED like a chili should look. Wow, I was surprised. Sure, my chili is a pretty chili, and I use black beans, ground meat, and some smoky green chiles along with tomato chunks for color and taste…but I didn’t realize it was so attractive. 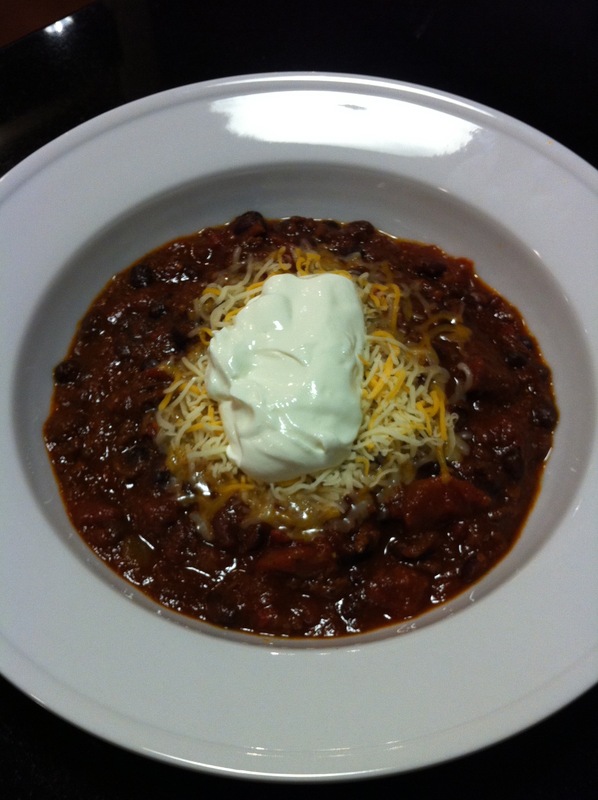 The Texans were bruised, of course, but everyone tried my chili, and agreed that it was as good as it looked! I hope you like it as well. Over the years, I’ve modified the recipe to add some ground buffalo or ground venison to the ground beef. Have your own “Chili Cook-Off” with your friends. 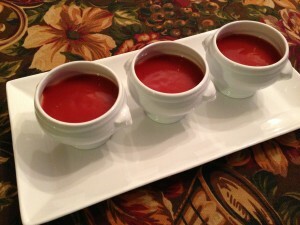 Set up a buffet table and load up 5 crockpots with different chilis. 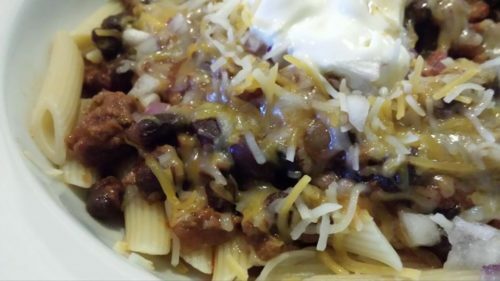 Offer shredded cheeses, sour cream, salsa, chopped cilantro, and other toppings so folks can personalize their chili selections. 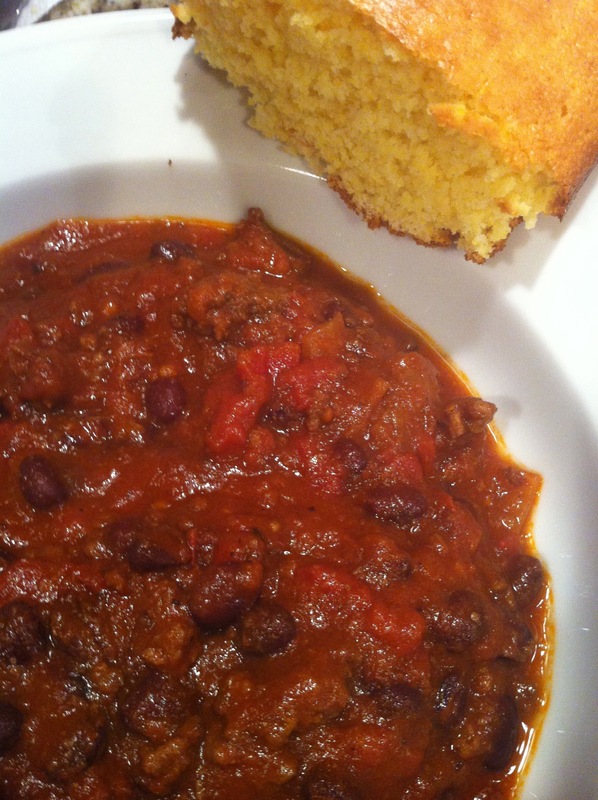 See my White Chicken Chili and Baked Bean Chili recipes for ideas. It’s a great idea for Super Bowl Sunday! 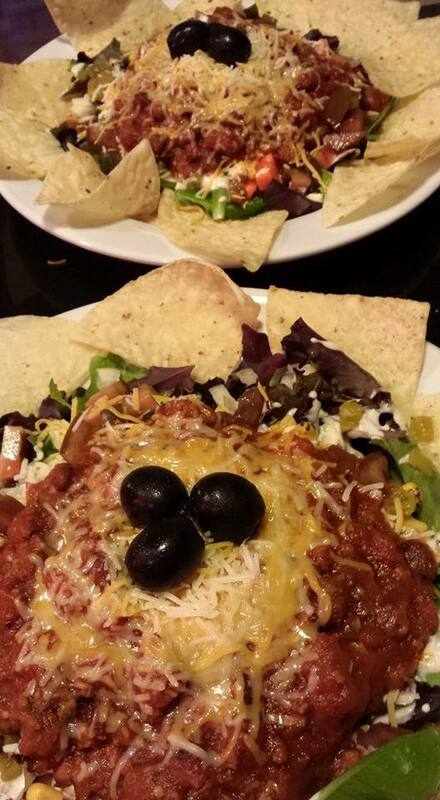 Or serve my chili over greens and add the fixin’s for a delicious Chili Taco Salad. 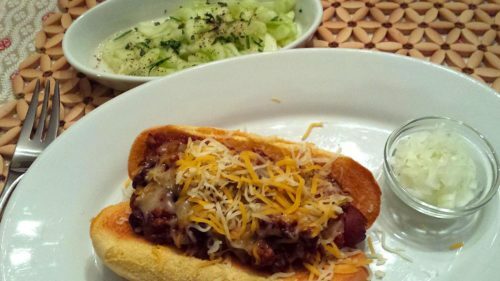 And, my chili is great at topping a chili dog! 1. Brown the ground beef or venison and onions in the olive oil over medium heat in a stockpot. 2. When the beef and onions are browned, add the garlic, chili powder, cumin, and Mexican oregano, and saute 5 minutes so the meat soaks in the garlic and spice flavors. 3. Add the tomatoes, green chiles, tomato sauce, black beans, brown sugar, ginger, black pepper, and salt. 4. Simmer uncovered over low heat for about an hour or until thickened slightly. 5. Stir the chili often so it doesn’t stick to the bottom of the pan. Serves 4. Garnish with a sprinkling of shredded cheddar and Monterey Jack cheeses, a dollop of sour cream, chopped raw onion, and chopped fresh cilantro. 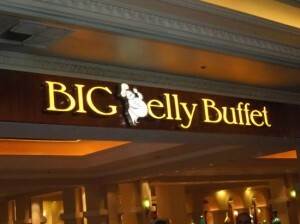 Offer cornbread on the side. This chili will develop deeper flavors if cooked and then allowed to cool and sit overnight in the refrigerator. Variations: Use a mixture of ground beef and ground buffalo or venison. 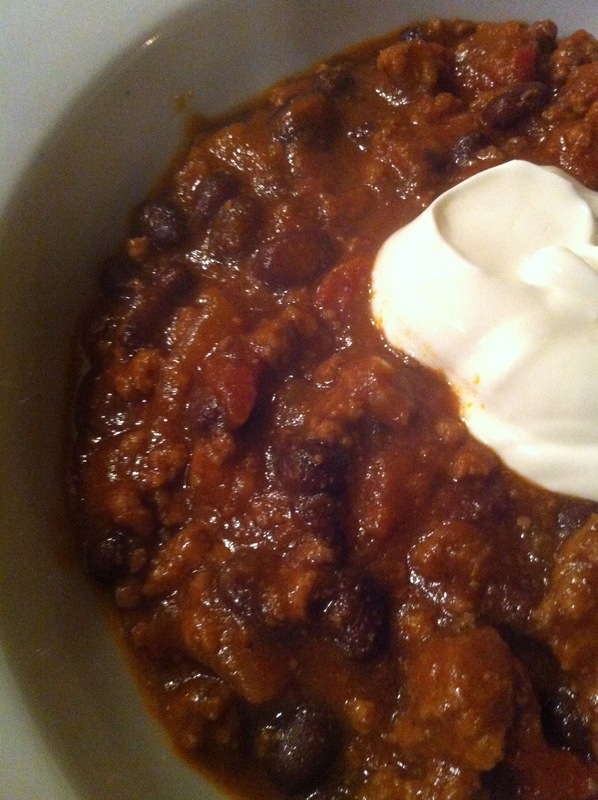 If you prefer a plain chili, omit the cheese, onions, sour cream, and cilantro — or use a combo of what you do like. 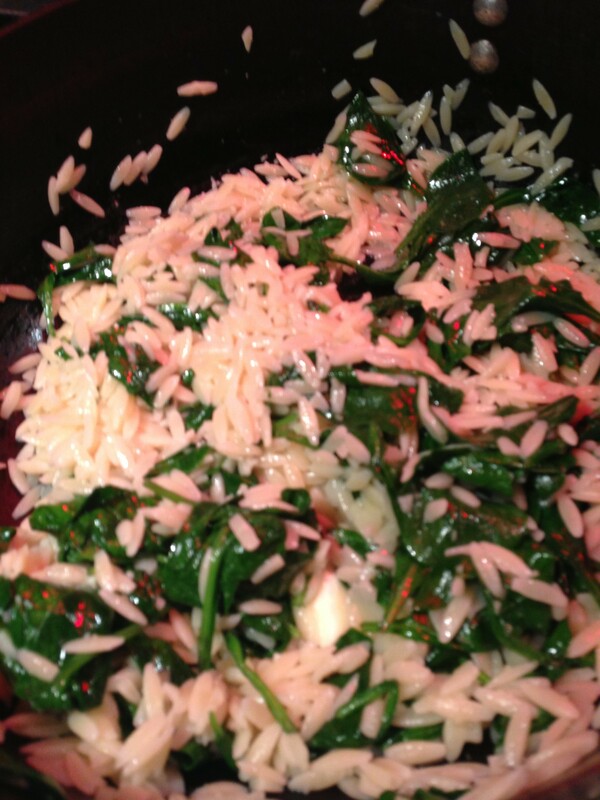 Use chopped scallions (the whites and their green tops) in place of the raw onion and cilantro for a different topping. 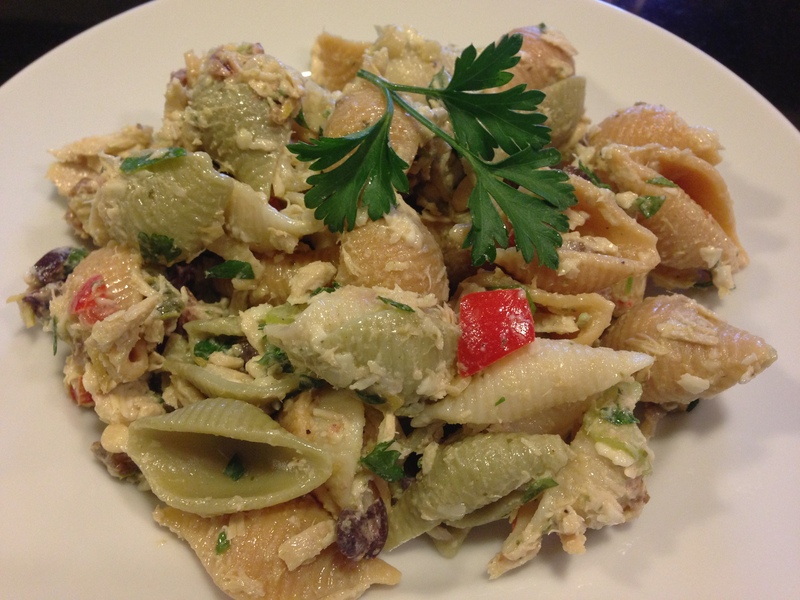 To lighten up this recipe, substitute ground turkey or chicken for the beef if you wish. And use fat-free sour cream and cheeses instead of regular. 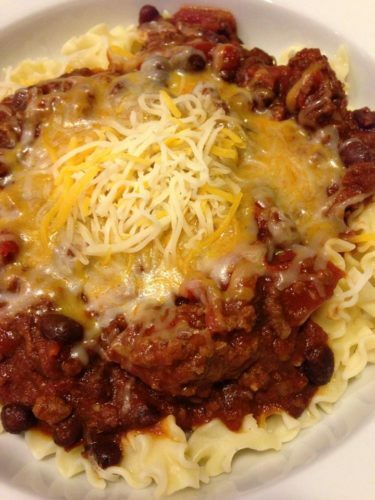 This award-winning chili makes a good candidate for “chili-mac”. Serve it over cooked pasta for a tasty treat. 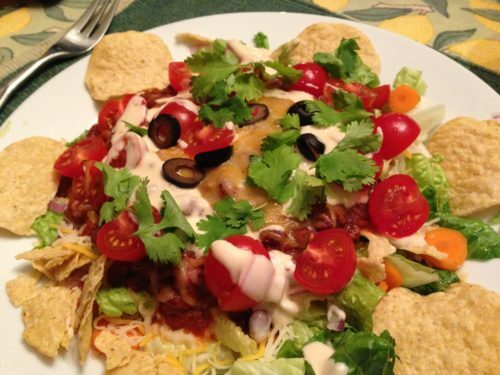 Or add it to a Taco Salad for a hearty main salad course.